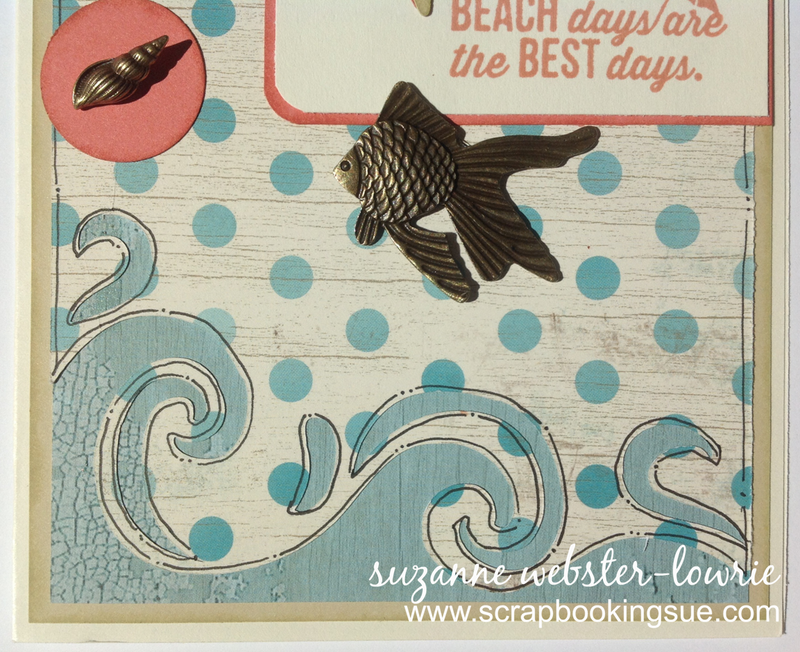 This 7″ x 5″ card was made with papers from the Seaside Paper Packet, as well as some Bamboo cardstock. The Seaside papers are currently my featured papers of the month. The beautiful polka dot paper overlay was cut with the Cricut Artbooking cartridge. The wave cut-out worked perfectly with this theme! I flipped over the polka dot paper to reveal the weathered blue paper, and used this as the color of the waves. 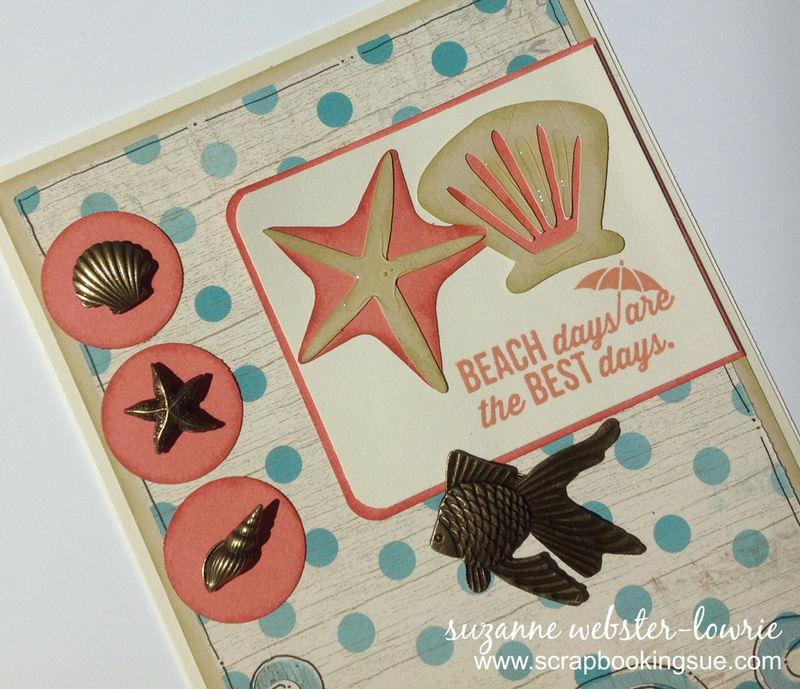 The starfish and seashell were cut with a Cricut cartridge called, “Pack Your Bags.” The sentiment, “Beach Days are the Best Days” was stamped with Sorbet ink onto Colonial White cardstock. 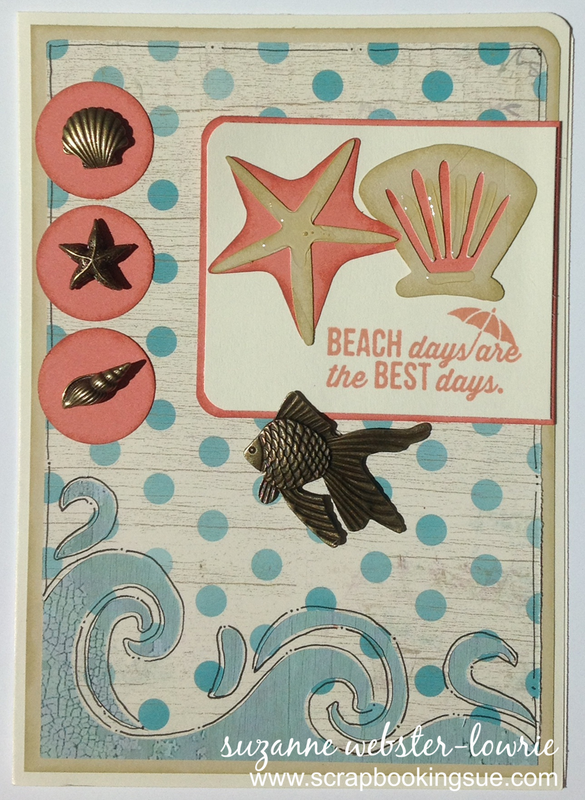 The stamp set is an exclusive from the Seaside Workshops on the Go Scrapbooking Kit. Sorbet and Bamboo inks were used to distress around their corresponding cardstock. I used a little bit of Liquid Glass on the starfish and seashell cut-outs to give them a shiny, wet look. 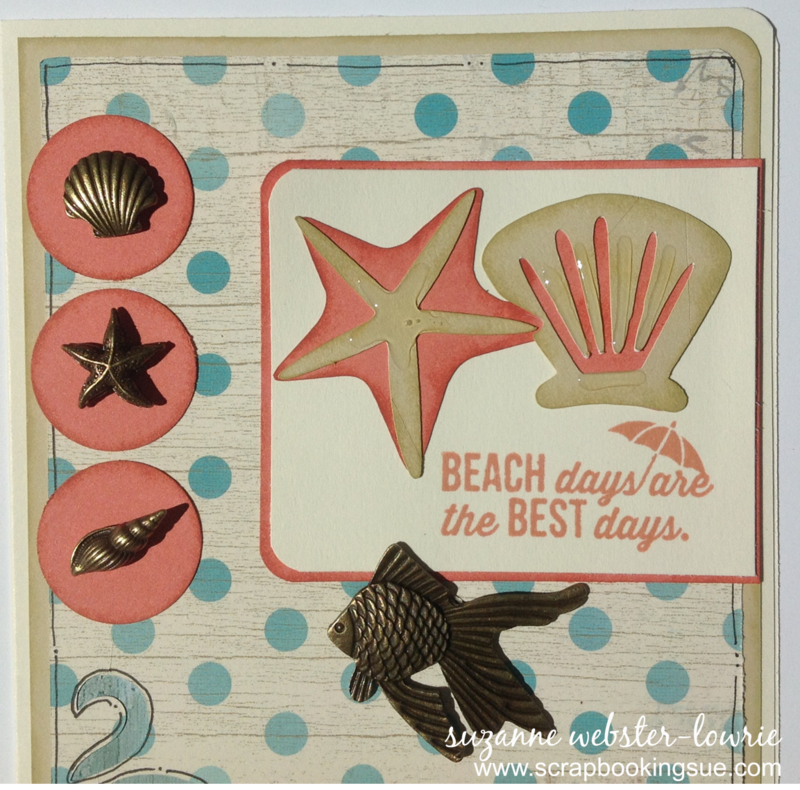 Those gorgeous metal pieces are from the Seaside Assortment… they are beautiful accents for any project! After everything was put together, I went over the waves and card overlay with a black journaling pen to define the space and make those waves pop!